Our, in the world unique, offerings of blank ammunition has grown from our long term experience in the production of blank ammunition for military purposes. Our wide range of high quality blank cases is the result of our aim to satisfy our buyers' numerous requests. 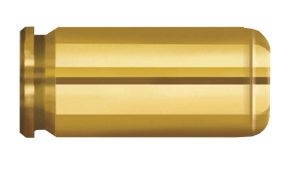 Once made of steel with chambers for Berdan primers, PPU now manufactures brass cases for blank ammunition with chambers standard Boxer type primers. In addition to cases, PPU also produces and delivers to our buyers blank ammunition used in the film industry, for salute fire and for practise.